What if I manage two permits/licenses? Do you manage more than one permit/license? You can easily add multiple permits by using the drop down menu on the right hand side of the screen. 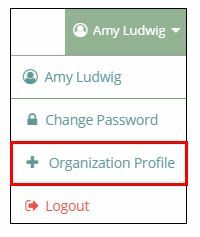 Select “+Organization Profile” and enter in your permit or license number to get started. You are able to add as many as you like! You will also use the drop down menu on the top right hand side of your screen to switch between viewing your Aspire Profile, and your multiple Organization Profiles.